The Reaction: HuffPo-AOL dealbreaker averted: "No mushrooms." HuffPo-AOL dealbreaker averted: "No mushrooms." Logging on today, I expected to be hit, like a tsunami, with Super Bowl news. AOL Buys Huffington Post for $315 Million. 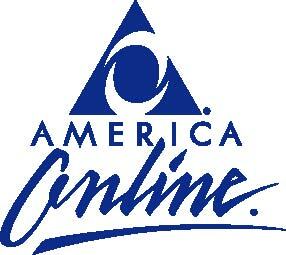 I have always thought of AOL as the horse-and-buggy of the World Wide Web. I mean, the bulk of its revenue comes from people still using dial-up services. High-tech companies, Internet companies, and such have been booming, falling from the sky, like, say Google and Facebook, and many others, out there doing big, fast things, and then there was AOL, looking out the garage door, polishing the reins, and longing to ditch the horse and get out there in the growing Web. They've seemingly constantly been doing the "My Sister/My Daughter" thing, dealing with their troubles. But the deal was done at the Super Bowl, and Arianna Huffington is now a media mogul. Around the same time, I got an email from Tim Armstrong (AOL Chairman and CEO), saying he had something he wanted to discuss with me, and asking when we could meet. We arranged to have lunch at my home in LA later that week. The day before the lunch, Tim emailed and asked if it would be okay if he brought Artie Minson, AOL's CFO, with him. I told him of course and asked if there was anything they didn't eat. "I'll eat anything but mushrooms," he said. For the saving grace of not serving mushrooms, Hufffington gets to do this millennium's first updated Charles Foster Kane thing, albiet not in print but on the Web, with her new Xanadu being good ol' AOL. And there's plenty of good snark going on. Somewhere, right now, Tina Brown is trying to sell The Daily Beast to Compuserve. Swisher writes that Huffington and Armstrong's "motto" is "One plus one equals 11." Which, ha, Huffington better hope that's true if her writers are going to make AOL's insane pageview targets. To that effect, AOL content will be "integrated deeply" into the HuffPo site—alongside terrific HuffPo content like "What Time Does the Superbowl Start?" and "How to Date an Indian (Advice for the Non-Indian)." The new media landscape is going to rule. Now, by contrast, the constraints on Huffington are much fewer. Lyons frets that "all those bright young things with the glamorous job of writing for the Huffington Post are being sent down into the belly of the AOL galleyship and assigned to an oar" — but the fact is that Armstrong bought HuffPo, and TechCrunch before it, precisely because his galleyship model of managing writers was a signal failure. Arianna gets much more bang for her buck — and has happier and more loyal employees. Best of all, from Arianna's point of view, is that all the extra investment she wants to make in editorial, starting with HuffPost Brazil, is going to be paid for not by rapacious venture capitalists looking for monster returns on their investment, but rather by befuddled and elderly AOL subscribers with broadband connections who don’t understand that they can cancel their $20-a-month subscriptions and still keep their AOL email address. That stream of cash won't last forever, but it's never going to interfere with Arianna's editorial decision-making. I wonder who will quit first: the unpaid Post writers who aren't making a dime from this deal, Arianna's Hollywood buddies, or Arianna herself. All you writers over at Engadget, TechCrunch, Moviefone, MapQuest, Black Voices, PopEater, AOL Music, AOL Latino, AutoBlog, Patch, StyleList, and others, prepare to lose your checks, and practice genuflecting, maybe even having to kiss Arianna's ring, mumbling gratefulness and gratitude for being able to write for such a great icon for nothing. 1 + 1 = 11? Jill: Mrs. Arianna Huffington, YOU'VE SOLD OUT! !